My friend had a lot of complications during delivery. she lost a lot of blood. I also fear the same. Is it normal to lose blood during delivery? how much is normal? My friend had a lot of complications during delivery. she lost a lot of blood. I also fear the same. Is it normal to lose blood during delivery? how much is normal? Sonu replied. The sight of seeing your friend in so much pain has instilled fear in you. Your friend had postpartum hemorrhage. Risk of having postpartum hemorrhage is very low. You can check out with your doctor if you have any risk of postpartum hemorrhage. Accordingly your doctor can chart out your delivery. Shraddha S replied. During the process of delivery, it is quite normal to lose blood. tearing of perineum and the birth of the baby all lead to some loss of blood. In case of postpartum hemorrhage, there is acute blood loss. You need not have fears as you may not be having the risk of PPH. The sight of seeing your friend in so much pain has instilled fear in you. Your friend had postpartum hemorrhage. Risk of having postpartum hemorrhage is very low. 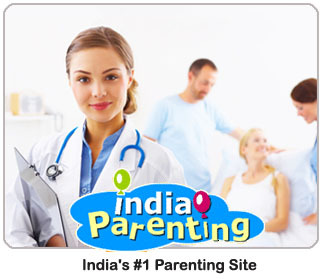 You can check out with your doctor if you have any risk of postpartum hemorrhage. Accordingly your doctor can chart out your delivery. During the process of delivery, it is quite normal to lose blood. tearing of perineum and the birth of the baby all lead to some loss of blood. In case of postpartum hemorrhage, there is acute blood loss. You need not have fears as you may not be having the risk of PPH.